CC470A HP Laserjet CP3525dn Printer - Refurbished with 3 months Return To Base Warranty & Working Consumables. 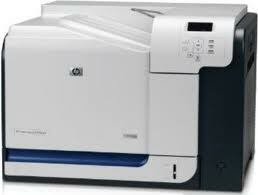 The HP Laserjet CP3525dn Printer is as good as buying new as all worn parts are replaced. This saves you up to 50% off the price of a brand new printer. We are confident that you will be 100% satisfied with your HP Laserjet CP3525dn Printer and are here to help with any support questions you may have. The Manufacturers part number/product code for this item is: CC470A. Boost work team performance efficiently with fast print speeds and superior first page out times from low power mode, while getting brilliant, print-shop quality results with HP’s ImageREt 3600 and improved HP ColorSphere toner. - Boost workteam productivity efficiently with fast print speeds of up to 30 ppm A4, colour or black printing, and energy saving HP Instant-on Technology. Enjoy exceptional print quality with HP ImageREt 3600 and improved HP ColorSphere toner. - Get affordable colour printing, and black printing. Control costs with HP’s award winning Color Access Control (CAC) technology. 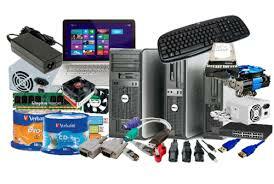 Expandable memory, and enhanced networking and security features let you keep pace with growing business needs. - This reliable, colour printer is easy to use, manage and maintain with an intuitive, colour control panel. Get trouble-free printing with intelligent Original HP print cartridges which are pre-installed and easy to replace via a single door.